The instant New York Times Bestseller (January 2018)! 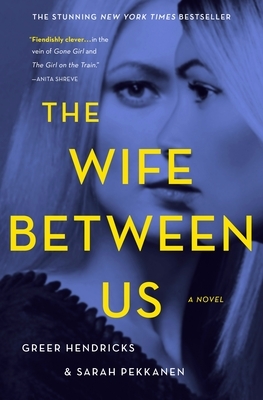 Twisted and deliciously chilling, Greer Hendricks and Sarah Pekkanen's The Wife Between Us exposes the secret complexities of an enviable marriage - and the dangerous truths we ignore in the name of love. Greer Hendricks spent over two decades as an editor. Her writing has been published in The New York Times and Publishers Weekly. The Wife Between Us is her first novel. SARAH PEKKANEN is the internationally and USA Today bestselling author of several novels, including The Wife Between Us, The Perfect Neighbors and The Best of Us. A former investigative journalist and feature writer, her work has been published in The Washington Post, USA Today, and many others. An instant New York Times bestseller (January 2018)! Wall Street Journal's "6 Books to Read This Winter"
Real Simple's "Best Books of 2018"
Glamor Magazine's "All the Books We Can’t Wait to Read in 2018"
Bustle's "18 Best Fiction Books of January 2018"
Goop's "12 Books for Winter Break"
Popsugar's "23 Best New Books of Winter"
Hello Giggles's "19 books we can’t wait to read in 2018"
AARP's "2018 Books Preview: Chills and Thrills"
Bookbub's "Biggest Thriller Books Coming in 2018"
Retail Me Not's "Top 35 Books of 2018"